Home Politics Foreign Policy Why Do Those Raised in West Behead Kids in Syria, Iraq? Iranian Foreign Minister Mohammad Javad Zarif has asked Western countries to explain why the people brought up in those countries behead children in the Middle East. The Iranian top diplomat made the remarks in a ceremony held in Tehran to mark the second anniversary of the Leader’s historic letter. 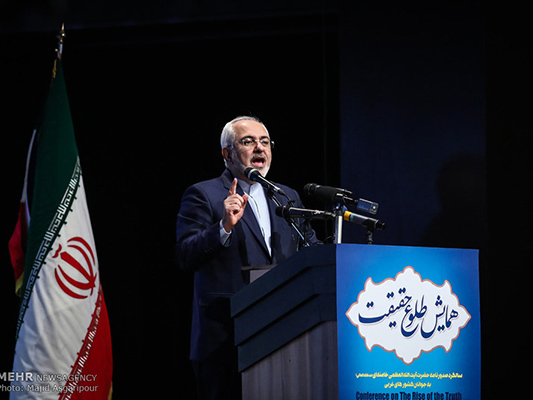 Zarif went on to say that the Leader’s letter addressed Western youths at a time when the medieval and embarrassing phenomenon of ISIS was spreading in the world. However, he added, Islamophobia started long before the emergence of ISIS. “Today, Islamic terrorism is among the keywords used by the US president in his speeches,” he noted. “Now that we see English-speaking Westerners are beheading children in Iraq and Syria, for which the West should be held accountable, we need to take a different look at the Leader’s letter,” Zarif noted. “The Leader’s letter to Western youths addresses the young generation, because the youths are the only ones who can find solutions to the current problems,” he added. “The recent developments in the world should be viewed with a common global concern,” he said, adding that the Letter should be investigated with an exploratory view.